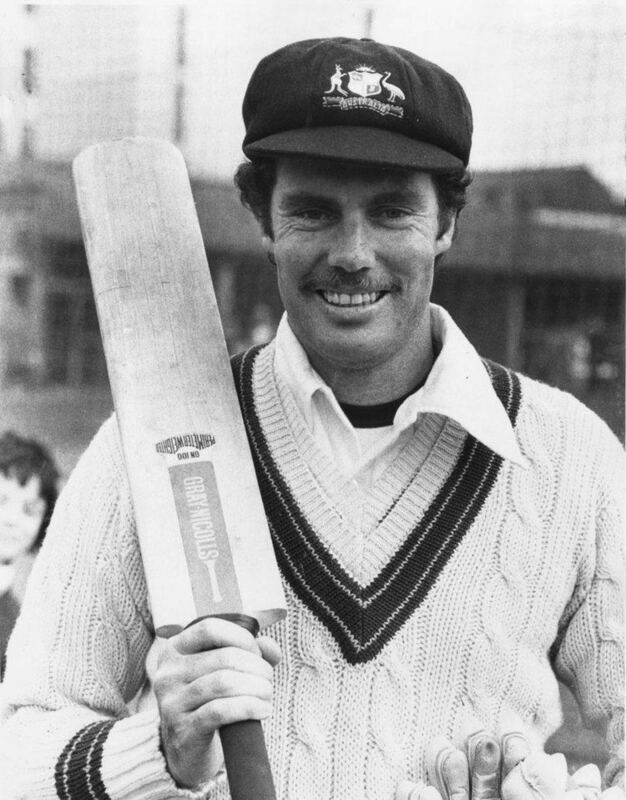 Gregory Stephen Chappell MBE (born 7 August 1948) is a former cricketer who represented Australia at international level in both Tests and One-Day Internationals (ODI). The second of three brothers to play Test cricket, Chappell was the pre-eminent Australian batsman of his time who allied elegant stroke making to fierce concentration. An exceptional all round player who bowled medium pace and, at his retirement, held the world record for the most catches in Test cricket, Chappell's career straddled two eras as the game moved toward a greater level of professionalism after the WSC schism. Since his retirement as a player in 1984, Chappell has pursued various business and media interests as well as maintaining connections to professional cricket; he has been a selector for national and Queensland teams, a member of the Australian Cricket Board, and a coach. He was appointed coach of the Indian cricket team on a 2-year contract in 2005. However, a series of controversies and personality clashes, combined with India's poor performance at the 2007 Cricket World Cup led to his resignation from the position on 4 April 2007. Chappell has served as an academy coach for the Rajasthan Royals, and was hired as the All Stars Coach for the 2008 Twenty20 match against Australia. He also serves as the executive coach for a series of Cricket Summer Camps in the United States as part of Chappell Way. Born in Unley, South Australia, Chappell was the second of three sons born in Adelaide to Arthur Martin and Jeanne Ellen (née Richardson), a Cornish Australian family. He was steeped in the game from a very early age: his father Martin was a noted grade cricketer in Adelaide who put a bat in his hands as soon as he could walk, while his maternal grandfather was the famous all-round sportsman Vic Richardson, who had captained Australia in Test cricket. Elder brother Ian and younger brother Trevor also played for Australia, and Greg closely followed in Ian's footsteps to the top. Given weekly lessons by coach Lynn Fuller, the brothers fought out fierce backyard cricket matches, with no holds barred. The fraternal relationship between Ian and Greg became legendary in Australian cricketing history for volatile verbal slanging matches, even during hard fought Test matches, which had their genesis in the family backyard. Chappell attended St Leonards primary school, where he played his first competitive match at the age of eight; he also played a lot of baseball. Quite small for his age, Chappell developed a technique for dealing with the high bouncing ball by playing most of his shots to the leg side. Aged twelve, he hit his first centuries and was selected for the South Australian state schools team. He was then enrolled at Plympton high school for two years before following brother Ian and attending Prince Alfred College on a scholarship. Chappell recalled himself being an "economical" student whose mind often wandered to the cricket field during class. In the summer of 1964–65, Chappell suddenly grew ten centimetres in seven weeks and within twelve months had shot up to 189 cm. With this greater physical presence, Chappell was able to dominate schoolboy matches; in one of his matches for the school's First XI he scored a double ton and combined with classmate (and future Test teammate) Ashley Woodcock to put on more than 300 runs for the first wicket against Scotch College. Chappell's cricket coach at Prince Alfred, former first-class player Chester Bennett, described Chappell as "possibly the finest all-round schoolboy cricketer in my experience...he could go far in the game." The Chappell brothers played grade cricket for Glenelg and they batted together for the first time in a semi final against Port Adelaide in early 1966. Later that year, Ian was chosen for the Test tour to South Africa, which opened up a place in the South Australian team. Greg seized the opportunity by scoring 101*, 102* and 88 for his club, then made his first-class debut against Victoria at Adelaide Oval, aged 18. Hampered by a throat infection, Chappell still managed 53 and 62* to earn an extended trial in the team. The remainder of the season brought another 386 runs in 14 innings, including a maiden century against Queensland. With the return of the Test players the following summer, Chappell held his place in the South Australian side and was promoted to the number four position, following brother Ian at number three. The highlight of Chappell's season was a brilliant 154 against Western Australia, but his continuing preference for leg side shots was seen as a weakness if he wanted to make Test cricket. During a brief dressing room encounter with the great Don Bradman, then a state and national selector, Chappell was advised to change his grip on the bat in order to improve his off-side play. Without hesitation, Chappell made the recommended change and at season's end, wrote to the English county team Somerset, asking for a contract to play county cricket to further his development. During two seasons with the county, Chappell scored 2493 first-class runs at a moderate average of 30. Hitherto, Chappell bowled leg spin, but after his growth spurt had found it difficult to land the ball on a consistent length. The green pitches in England encouraged him to experiment with seam-up medium pace, which produced immediate results: he finished with 71 wickets for Somerset, including 7 for 40 against Yorkshire at Leeds in 1969. In his first season, he was capped by Somerset after belting the Middlesex attack for three hours in making 148. Shortly after was hit a severe blow to the eye when hooking at a bouncer from England fast bowler John Snow in a match against Sussex. In between these stints in England, Chappell scored 707 runs (including two centuries) in the 1968–69 Australian season, which made him a favourite to break into the Australian squad for the tour of India and South Africa. His subsequent omission in favour of West Australian unknown Jock Irvine cause a sensation at the time. Entering the 1969–70 season, Chappell hit four hundreds to earn a place on an Australian A trip to New Zealand. Scoring 519 runs at 57.70, he was the dominant batsman of the tour and with the Test team failing in South Africa, he only needed a solid start to the next season to force his way in to play against England in the 1970–71 Ashes Series. After acting as twelfth man in the first Test, he was selected to bat at number seven for the second match, the first Test played at Perth's WACA ground. During an historic century on debut, he teamed with Ian Redpath to add 219 runs and haul Australia out of a difficult situation. Just days after the Test, he belted 102 in two hours against the English in a tour match. However, the dream start affected Chappell, who struggled for the rest of the series, apart from a score of 65 in the last Test. In the main, he was getting out by playing too many big shots early in his innings. The inconsistent form continued the following season, when he was omitted from the Australian team for the series with a Rest of the World XI. Press criticism led to a rethink of his mental approach, and when reinstated a new Chappell emerged. 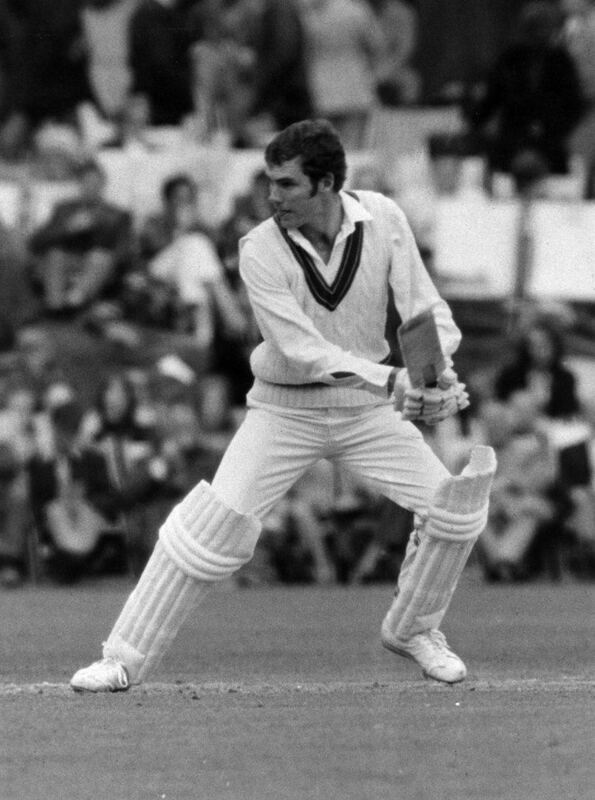 He invented what became known as the Chappell "vee" where he played the ball exclusively in a narrow arc between mid off and mid on until he felt he had his eye in. This reorganisation brought him scores of 115* and 197* in the third and fourth unofficial Tests. His game went from strength to strength. In the fifth Test at the Oval, he hit another ton, sharing a big partnership with Ian as they became the first brothers to score Test centuries in the same innings. Against Pakistan he made 116* and 62 at Melbourne and bagged 5 for 61 at Sydney. On the subsequent trip to the West Indies, he achieved the rare feat of scoring a thousand runs on a Caribbean tour, which included 106 in the Test at Bridgetown, Barbados. In recognition of his outstanding 1972 Ashes tour, Chappell was named, along with fellow Australians Bob Massie, Dennis Lillee and Keith Stackpole, as one of the Wisden Cricketers of the Year in 1973. With the Australian team now undergoing a dramatic renaissance, Chappell was the leading batsman, giving him a huge national profile. This brought a lucrative offer to move to Brisbane and captain the Queensland side, as a precursor to taking over the Australian captaincy when Ian decided to retire. He made the move in the winter of 1973. The interest in his arrival in Queensland was enormous as he was expected to lead the state to its first Sheffield Shield title. Although Chappell gathered more than a thousand runs in the shield matches alone, Queensland was thwarted in the last match of the season by a devastating spell from young New South Wales fast bowler Jeff Thomson. Learning of the bowler's dissatisfaction with his home state, Chappell convinced Thomson to move to Queensland for the following season. Chappell then departed for Australia's first Test-playing tour of New Zealand. The Chappell brothers shattered records in the Wellington Test, as Ian and Greg scored centuries in both innings, the only such instance. Greg's effort of 380 runs in a Test match (247* and 133) remained a record until beaten by Graham Gooch in 1990. Unfortunately for Chappell, his health was now blighted by recurring tonsillitis and he found it difficult to bat for long periods during the 1974–75 Ashes series. He was the backbone of Australia's sometimes inconsistent batting, scoring 608 runs at 55.3. At Sydney, where Australia won to reclaim the Ashes, Chappell dominated with 84 and 144, which he followed up with a century in a losing cause in the sixth Test at Melbourne. At Perth, he broke the world record for a fielder by snaring seven catches. Ironically, his grandfather Vic Richardson was one of several players who held the old record of six. Chappell reluctantly had his tonsils removed, but he quickly lost a lot of weight which affected his performance on the tour of England that followed. He played in the World Cup (for what proved to be the only time), then made only one good score (73* at Lords) in the four Ashes Tests that followed. Sufficiently recovered, Chappell totally dominated the season of 1975–76, amassing a record 1547 first-class runs at an average of 85.9, with five centuries. Appointed as Australian captain, Chappell began with a century in each innings to win the first Test against the West Indies in his adopted home town of Brisbane. This performance was unique in Test cricket at the time (later replicated by Virat Kohli of India in 2014). He led the team to an overwhelming 5–1 win and the title of unofficial world champions. His personal highlight was a classic 182* in the Sydney Test. The peak of Australia's form proved to be brief. The team lost a number of players to early retirement, mainly because remuneration was so poor. Chappell was able to parlay his position into a reasonable income with his Queensland contract and personal endorsements, but he still needed to develop business interests in life insurance outside the game. His leadership abilities were tested in the summer of 1976–77 as a number of new players were blooded and Jeff Thomson was laid low by long-term injury. Australia received much criticism for defensive play during a drawn series with Pakistan, but Chappell's form was faultless, and he scored 121 and 67 in the only Test victory. The tour to New Zealand that followed was similar; it was clear Australia was in a rebuilding phase. During the Test at Auckland, a streaker appeared when Chappell was at the crease. Incensed by this new craze and the disruption that it caused, Chappell grabbed the man and hit his bare backside with the bat. When play resumed, the ensuing din from the incident caused Chappell to mis-hear his partner's call for a run, and he found himself run out. For once, the famous Chappell concentration had been broken. But the most significant occurrence of this match occurred off-field: Chappell was approached to sign with a proposed break away competition, later to be known as World Series Cricket (WSC). Chappell formally signed a WSC contract the following month, during the Centenary Test, a one-off match against England commemorating one hundred years of Test cricket. He was offered the most lucrative WSC contract in line with his age and high profile as captain of Australia. Chappell led Australia to a dramatic victory. Some of his players felt that he struggled to cope with the pressure of captaincy during the tense England run chase on the final day, when Australia won a dramatic victory, due to by a marathon bowling spell from Dennis Lillee. But Lillee's absence for the forthcoming tour of England would hamper Chappell's campaign to retain the Ashes. News of the WSC break away was leaked early in the tour, and Chappell quickly found himself besieged. Tour officials and administrators back home questioned his loyalty, journalists were constantly looking for comment, while non-WSC players in the squad accused him of bias in team selections. Leading an inexperienced team in often inclement weather sapped his confidence, while the English bowlers, knowing that he was the key wicket, constantly put him under pressure. After a brave 44 and 112 failed to save the second Test at Manchester, his form fell away and the team slipped to a 0–3 loss. Chappell was happy for brother Ian to captain the WSC Australian team, which allowed him to concentrate on his batting. In the first season of WSC, he returned to type with 661 runs at an average of 60. The Australians struggled against the array of talented players assembled to represent the West Indian and World teams, and the emphasis on fast bowling destroyed the confidence of many batsmen, who took to wearing helmets for safety. Chappell eventually opted for a helmet with temple guards only – he never wore one with a grile. He never missed an opportunity to slip into a cap when facing medium pace or spin. In the final "Supertest" of the first season, Chappell captained the Australian team as his brother had suffered a broken finger. 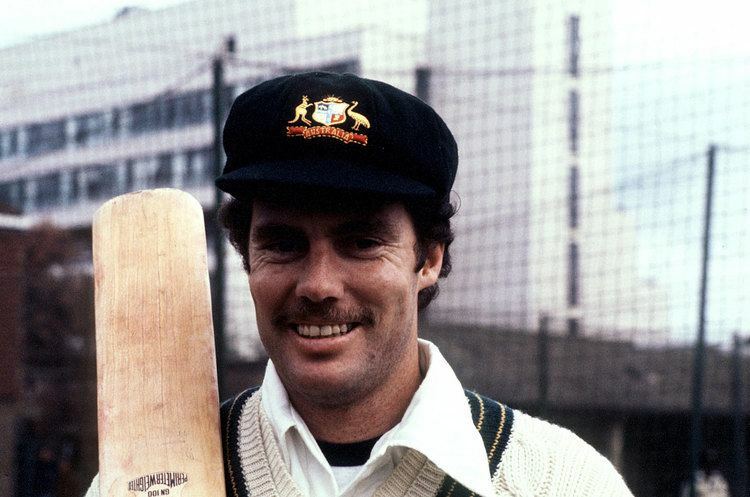 After four losses in five matches, the Australians turned matters around, thanks to a magnificent 246* by Greg Chappell, the highest innings played during the existence of WSC. However, the constant diet of fast bowling got to Chappell in the next season, and he managed to pass fifty in the Supertests just once. With a WSC tour of the West Indies looming, Chappell was diagnosed with Bell's Palsy and one side of his face was paralysed. Doctors and family advised him to miss the trip, but Chappell was determine to go and utilise a modified technique he had devised for facing the relentless fast bowling. After a slow start, Chappell hit the richest vein of form in his career. In quick succession, he peeled off 45 and 90 in Barbados, 7 and 150 in Trinidad, 113 in Guyana and finished his WSC career with 104 and 85 in Antigua, all scored against an attack of Andy Roberts, Michael Holding, Colin Croft and Joel Garner on their home wickets. Unfortunately for Chappell, WSC matches are not included in official statistics as he scored five hundreds in 14 Supertests and a total of 1415 runs at 56.6 average. In all, he missed 24 Test matches during his exile from official cricket. When WSC players rejoined official cricket for 1979–80, there was plenty of debate over the Australian captaincy. Chappell was the far from unanimous choice, but led the Test team in twin series, against England (won 3–0) and West Indies (lost 0–2), and the first triangular ODI series where Australia failed to reach the final. It was a mixed bag of results and the programming came in for some criticism. Chappell led by example in scoring 74 and 124 in the Brisbane Test against the West Indies in his comeback to Test cricket. His 98* guided Australia to victory over England at Sydney, then 114 and 40* extracted a similar result at Melbourne. While he averaged 44 with the bat and claimed seven wickets in the ODIs, a constant shuffling of positions ensured an uneven Australian performance. Despite protesting the strenuous nature of the players' workload in this new era, Chappell found himself leading the team to Pakistan two weeks after the end of the Australian season. Pakistan narrowly won the first Test, then prepared featherbed wickets for the remaining two matches. At Faisalabad, Chappell made 235 and as a protest at the pitch, allowed all eleven Australians to have a bowl in Pakistan's innings – the first time this had happened in a Test since 1884. Australia lost the series 0–1. Later in the year, Australia played a second Centenary Test, this time to commemorate the first Test played in England, and the match (played at Lords) ended in a draw due to poor weather. One of only four players who played both matches, Chappell scored 47 and 59, but his best remembered contribution to the match was an attempted citizen's arrest (along with England captain Ian Botham) of an MCC member who attacked one of the umpires in a very ill-tempered scene. The 1980–81 season brought another three way competition, this time with New Zealand and India. In the Tests, Australia had a convincing win over the Kiwis, but was held to a drawn series against India. Chappell was in good form throughout the summer, but managed only two international centuries. The first came at Sydney in an ODI against New Zealand, when Chappell set a then record Australian score of 138*. Early in the new year, on the same ground, he played his first Test against India. Despite suffering a bad stomach upset, Chappell hit 204, an innings described by Wisden as "masterly". However, this season is best remembered for the triangular ODI series, specifically the third of the best of five finals series, played in Melbourne on 1 February 1981. With the series tied at 1–1, Australia looked to have gained the upper hand by batting first and setting New Zealand a chase of 235 runs. Undisciplined bowling and fielding by the Australians, and a great innings from Kiwi opener Bruce Edgar narrowed the target to 15 with one over to play. Chappell's younger brother, Trevor, a batting all-rounder who specialised in bowling at the end of an innings, delivered the final over. From the first five balls, Trevor Chappell took two for 8, leaving the new batsman (Brian McKechnie) to score a six to tie the game. At this point, Greg Chappell intervened, told his brother to deliver the ball along the ground (i.e. underarm) and he then informed the umpire to let the batsman know of the change of bowling style. Despite the protestations of wicketkeeper Rod Marsh, the ball was delivered and the batsman simply put his bat in front of the ball to stop. He then hurled his bat away. A large crowd of 50,000 – mostly Australian – loudly booed the Australian team from the field. Chappell experienced his only extended run of poor form during the 1981–82 Australian season, which featured Test and One Day matches against the West Indies and Pakistan. His 201 in the second test of the season, against Pakistan, was his only score of note and he registered seven ducks in total in the international matches, including four consecutive ducks spread across two Test matches and two One Day matches. Chappell's average in the Test matches was 30.6 (13.6 without the double century) and his average in the One Day matches was 17.7. Chappell was captain of the ODI team concurrently with his Test captaincy, registering 21 wins and 25 losses from 49 matches; all but four of these matches were after the end of World Series Cricket, and Chappell never captained Australia in a Cricket World Cup tournament. His batting exploits in ODIs were not quite of the same magnitude as his Test match career, but he did hold the Australian record single-innings score (138 not against New Zealand in 1980) for more than ten years. His ODI captaincy career is most commonly remembered for the "underarm" incident in 1981 (see below). After retirement, Chappell has remained connected with the sport in numerous capacities. Recently, he fulfilled a consultancy role for Pakistan and, between 20 May 2005 and 4 April 2007, was the coach of India. This role was the subject of much negative public and media commentary particularly involving his working relationship with former Indian captain Sourav Ganguly. Chappell instigated the underarm bowling incident in the New Zealand–Australia One Day International on 1 February 1981. Chappell, the captain, ordered his brother Trevor Chappell, to bowl underarm along the ground to Brian McKechnie, thus ensuring the Australian team would win the match and avoid a tie. The New Zealand Prime Minister Rob Muldoon said it was "the most disgusting incident I can recall in the history of cricket", the Australian Prime Minister Malcolm Fraser said it was "contrary to the traditions of the game", and the Chappells' decision was universally condemned. Both brothers have expressed regret and embarrassment over the incident. 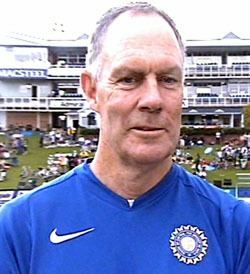 Chappell's first overseas tour as the coach of the Indian team was to Zimbabwe in September 2005. Sourav Ganguly, the Indian captain, scored a century in the first Test match and later alleged that the coach Chappell had asked him to step down as captain on the eve of the game. This was widely covered by the Indian media. Ganguly was later dropped from the Indian cricket team by the selectors on the grounds of poor form, but many in the media suggested his omission was influenced by the previous row with Chappell. In his new book, Chappell gave rise to fresh controversy by claiming that Rahul Dravid as a captain didn't receive the kind of support he gave to other captains and his success was not enjoyed by some of the teammates. Shortly after Chappell retired from cricket he was appointed selector for the Australian team and also became a member of the Australian Cricket Board. This was a time of rebuilding for the national side, with many players lost through retirement and the South African rebel tours. He resigned from both positions in mid-1988, before the Australian team revived but by which time many key players in that revival had been selected, including David Boon, Geoff Marsh, Merv Hughes and Steve Waugh. Among the decisions made by the panel when Chappell was a selector included encouraging Kim Hughes to resign, not selecting Hughes on the 1985 Ashes, trying Wayne Phillips, Greg Dyer and Tim Zoehrer as wicketkeepers, and fast-tracking Craig McDermott and Ian Healy to the national side. Chappell was inducted into the Sport Australia Hall of Fame in 1986. From the late 1990s Chappell coached South Australia for five seasons during which time the team failed to win a single trophy. Chappell has also worked as consultant at Pakistan's National Cricket Academy and as a commentator for ABC Radio. In 2002, he was inducted into the prestigious Australian Cricket Hall of Fame. In May 2005, he was appointed coach of the Indian national cricket team for a two-year term until the World Cup 2007. He earned about 175,000 USD as salary from the BCCI every year. Of late, he came in for criticism for his tinkering with the batting lineup and unorthodox cricket coaching methods. Several senior Indian players whom Chappell coached have come out to criticize his methods, including Virender Sehwag, Harbhajan Singh, and Zaheer Khan His comments also did not go down well with the Indian public. However, his coaching and methods were not very effective as India crashed out of the World Cup in the first round, the first time since 1992. 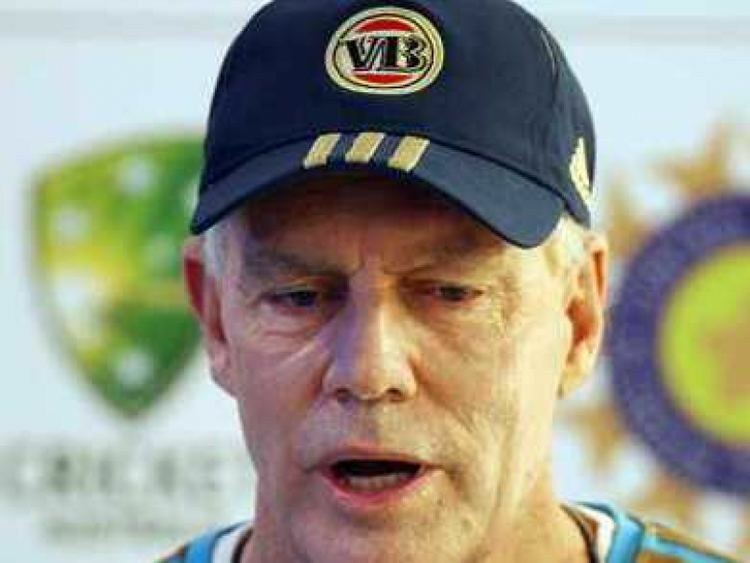 Embattled coach Greg Chappell resigned after reports that none of the senior players, including Tendulkar, were happy with him and his coaching methods. His rift with arguably India's most successful captain, Sourav Ganguly and poor performance of team in 2007 world cup, made Chappell, a dark figure in the history of Indian Cricket. Chappell was made a selector of the Australian national side on 29 October 2010, replacing Merv Hughes. This period coincided with a lack of success for the test team, losing the 2010–11 Ashes to England 3–1, although they defeated Sri Lanka 1–0. Chappell was banned from the Australian dressing room at the request of the players. He was later sacked as selector during the Sri Lanka tour in August 2011. During the early part of his career, since being a cricketer was not yet a full-time profession, Chappell worked in a variety of jobs, including at a life assurance firm, an oil company, and as a promotions officer with Coca-Cola bottlers in Adelaide. He married Judith Elizabeth Donaldson, a schoolteacher from Bexley in New South Wales, in 1971. 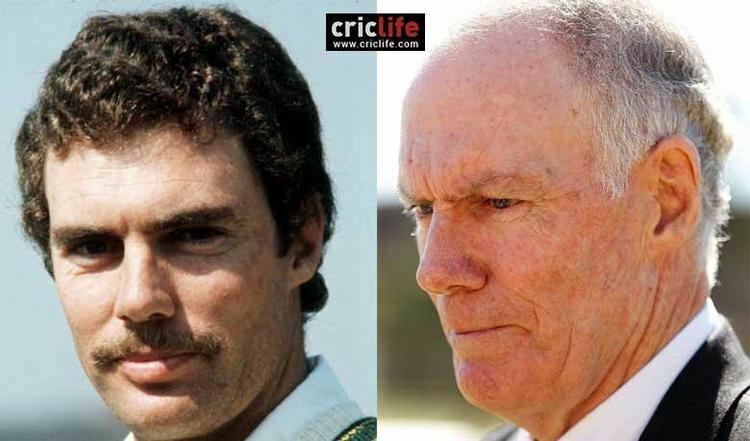 The couple had three children: oldest son Steven was born in 1975, Belinda was born in 1977 just before Chappell's departure for the 1977 Ashes tour, and youngest son Jonathan was born in 1980. From an early age, Jonathan chose to pursue baseball, which his father and uncle had also played during their childhood, and played Minor League Baseball from 2004 to 2005.